SA provides and licenses the holding of a track & field, distance running or race walking event in Singapore, following the international IAAF rules and regulations of the sport and to provide a safe environment for the participants and spectators. Once your event is approved and sanctioned, the benefits include official recognition of records, and more promoted to all our members as it’s included in SA calendar. Contact to get further details to get your events sanctioned. National Athletes intending to seek sanction from SA to participate in overseas competitions, will be required send their request through their clubs. Their Clubs must be registered and valid SA affiliates. In order for any results/records from any overseas meet (For local, please ensure it’s a sanctioned meet by SA) to be recognised, the meet needs to be sanctioned by SA. 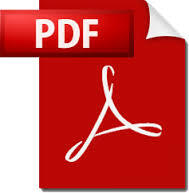 Download the below documents. Your club represenation to submit the sanction application form to . Submit only Singapore record application form, if there is a claim on a new SGP record. We will not accept sanction or record application by unattached or invidiuals. A FULL copy of the actual competition results of the event with signatures of the meet director/referee, judges and also the organizer is required, fifteen (15) days after the event (enclosed with the approved sanction). It needs to be also accompanied by the official stamp of the organisation. If wind reading is needed for the event, the wind reading results are also required for submission. The results will not be recognised if any of the items required are not submitted/attached. Results from Meets not sanctioned by SA will not be recognised. Email confirmations, photocopies of results without signature & official stamp will not be accepted. Please include in the write-up of the competition details, athletes and officials profile. All athletes are welcome to seek SA sanction through their clubs to compete in any overseas Meet. They will have to make their own flight, room and board arrangement. SA will assist to inform and submit the entry list if necessary to the host organiser. The participation of such sanctioned athletes will be subject to confirmation from host organiser. Sanction rules do not apply for overseas Meets that require meeting a qualifying standard, or the participation is by special invitation only. E.G. Championship Meets, Asian Invitational GP, Major Games etc.